Thinner than ever, ego AIO D16 comes with 16mm diameter, 1500mAh battery capacity and 2ml e-liquid capacity, featuring childproof lock as well as adjustment of air inflow. Thinner than ever, ego AIO D16 comes with 1500mAh battery capacity and 2ml e-liquid capacity, featuring all-in-one pen-style design, childproof lock as well as adjustment of air inflow. Only with diameter of 16.5mm, it’s easy to carry and feel good in hand. 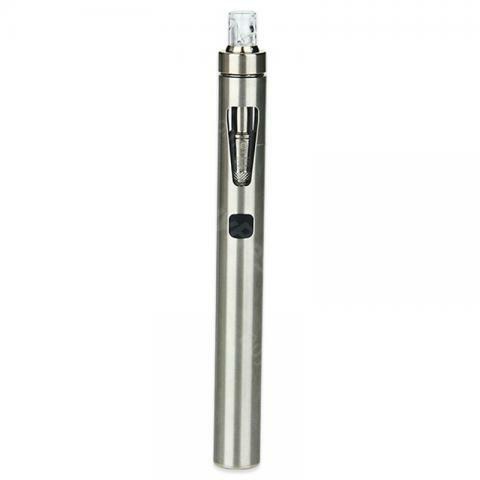 It comes with 2 pieces of 0.6ohm BF coil and 2 optional spiral structure mouthpieces as replacement. • You can buy BF Replacement coil. We suggest you use 0.6ohm BF SS coil with eGo AIO. • Attention: AIO D16 is not compatible with BF RBA Head. Secure product. -The charge is durable. -Suitable for beginner level. -İdeal for ladies. -The price is affordable. -ergonomic. pants or jackets fits. I have other ego aios but this D16 gives me different vaping experience. The flavor is good and the battery last long for about several hours. I can't beg for more with such cheap price. Very nice little kit. Good service in Buybest. This is my second order of AIO D16. I have used the former one for several months. It is really a good device. If you are looking for a kit that is simple and portable, D16 will be a good choice. It is very convenient to fill in liquid on top. Ego aio D16 is truly suitable for starters.